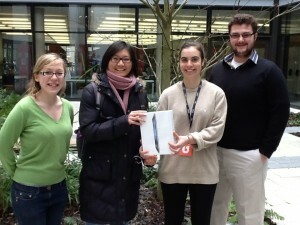 Library Quality Survey – Prize Winner! 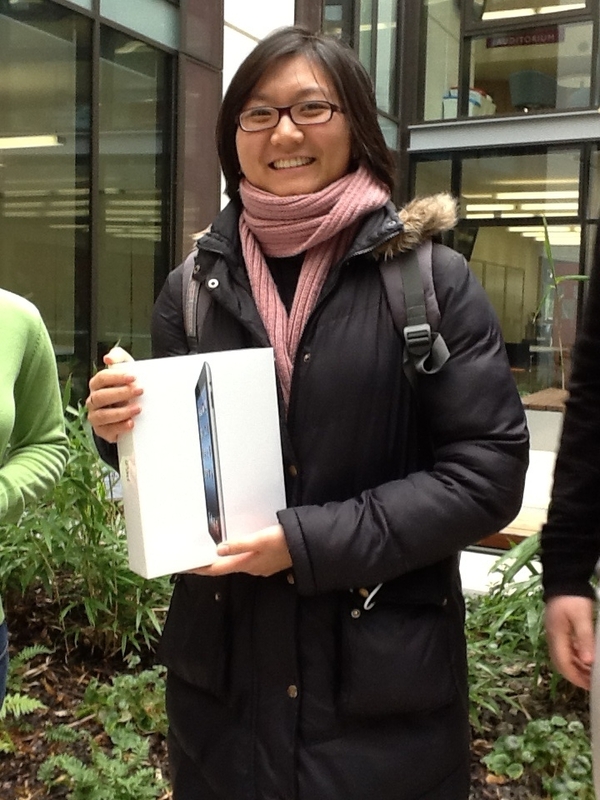 Athicha Siriboonlamom took part in the recent Library Quality Survey, and was very glad she did – she was selected in a random draw, and was the lucky winner of the iPad ! 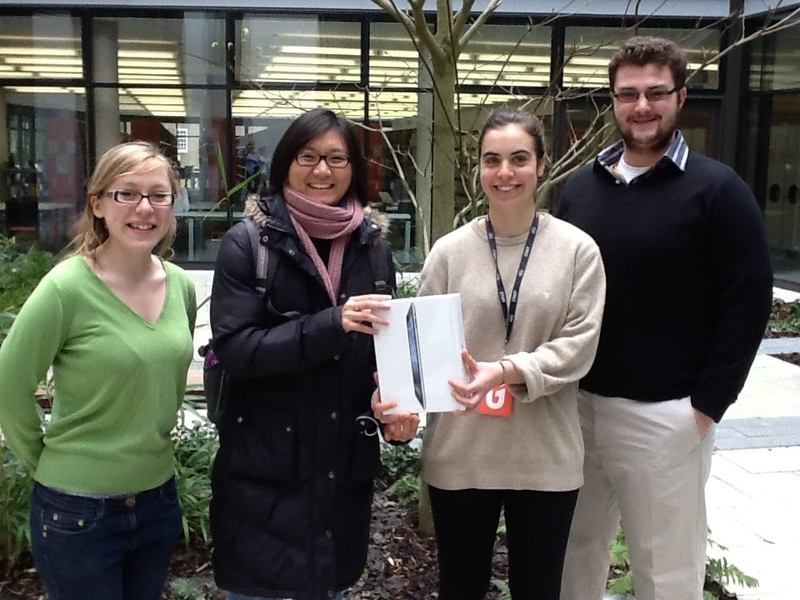 Athicha, a postgraduate student in the Graduate School of Education and a frequent user of St Lukes library, was presented with her prize by Library Champions Sophie Hunter, Josephine Hornsey and Andrew Eckert. Library Champions are a vital team of student volunteers who liaise with and promote the Library, as well as influencing Library purchasing in their subject area. Aticha with Library Champions Sophie Hunter, Josephine Hornsey and Andrew Eckert. The Library was very grateful to everyone who completed the survey, which offers us the chance to really appreciate what our customers want most from us. We are now working hard to make improvements, based on what you told us. A summary of the results is available here. 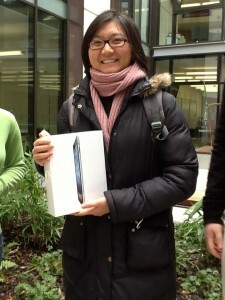 Congratulations, Athicha – we hope you enjoy your new iPad! This entry was posted in Forum Library, Luke's Library and tagged competitions, LibQUAL survey, postgraduates on 10th Feb, 2013 by reg206.